Why Does Investing in Life Settlements Makes Sense? Who Are the Major Investors in Life Settlements? As many investors seek better and less risky investments, there is one opportunity that stands apart from the rest. Life settlements have been around for years – but it’s still a growing industry. The reason most people haven’t heard about them is because 95% of the industry is owned by major institutions such as hedge funds, institutional investors, and insurance companies. Keep reading to discover the history, benefits, and future of the life settlement industry and if it makes sense for you to invest in this industry. Before we talk about the benefits of this investment opportunity, let’s define what a life settlement is. By a simple definition, a life settlement is the purchase of an existing life insurance policy at a discount to its face amount. The growing life settlement industry is worth $50 billion. In addition, this type of investment provides benefits to both the insured and investor. Let’s look at one example of how a life settlement works. He can withdraw any cash value and then cancel the policy. He can hold onto the policy and allow any cash value to pay premiums before canceling the policy. He decides the best option is to sell the policy, which allows him to receive three to four times the cash value of the policy itself. Let’s take a step back for a moment to explore the history of this industry – how and when did life settlements begin? Life settlements aren't new. They've been around in one form or another since 1911, when the U.S. Supreme Court established that life insurance policies are assets – and assets come with the right to be sold. As an investor, you might be wondering how this practice is legal. In 1911, the Supreme Court ruled in a case, Grigsby vs. Russell, which determined that because a life insurance policy is their personal property, they are able to sell it. The case made its way to the Supreme Court in 1911 after a doctor named A.H. Grigsby treated a patient named John C. Burchard – and Burchard offered to sell the physician his life insurance policy for $100 – as long as Dr. Grigsby agreed to pay the remaining premiums. When Burchard died a year later, Dr. Grigsby attempted to collect the benefits from the life insurance policy he'd purchased a year earlier. Unfortunately, the executor of Burchard's estate didn't want to turn over the lump sum payment. The executor took it to court and won. Justice Oliver Wendell Holmes and the United States Supreme Court eventually took the case and ruled in favor of Dr. Grigsby. "So far as reasonable safety permits, it is desirable to give to life policies the ordinary characteristics of property. To deny the right to sell except to persons having such an interest is to diminish appreciably the value of the contract in the owner's hands." Just like that, life settlements became a viable alternative investment opportunity--and one in which Americans could sell their premiums for much-needed cash. While the Supreme Court's ruling on Grigsby vs. Russell opened the door for people to sell and purchase life insurance policies, it wasn't until later that the "life settlement industry" emerged. The industry officially began in the early 1990s when life settlements were referred to as viaticals. At the time, millions of people were becoming infected with AIDS, which meant that there were many victims and families devastated by this prognosis. Since those that were diagnosed with AIDS were typically younger, this meant they didn’t own much as far as an estate, but they did own smaller life insurance policies. Life expectancies were around two years and people with the disease required additional finances to live out the rest of their lives as comfortably as possible. And so, the industry began with many selling life insurance policies at the time. These types of deals continued for decades, but as medical technology advanced, so did life expectancy. Viatical settlements became less common, but another group of individuals in need of money emerged: senior citizens. A life insurance policy is a life-long commitment – one that lasts through the good, the bad, and sometimes longer than necessary. Don't get the wrong idea, life insurance makes sense for those insured. Especially when you're younger, have a family, caring for a loved one with life-long special needs or want to ensure that your family is financially cared for in the event of a death. However, after the kids have gone out on their own or incomes become fixed – the policy becomes a burden. Unfortunately, that monthly premium still needs to be paid. Sure, some people let the policy lapse, but they walk away with nothing except the nagging feeling they've wasted thousands of dollars on monthly payments. There are a couple types of investors that can purchase a life insurance policy. One is institutional investors, the other is mid-to-high net worth accredited investors. They are low-risk – The only risk with life settlements is time. They outperform the stock market – Regularly outperforming the S&P and delivering returns in the high single digits to the low double digits. 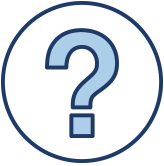 There are no ongoing fees – Once a life insurance policy is purchased, there are no ongoing management fees. It’s a win-win opportunity – Both the buyer and seller are typically in a better position financially with life settlements. By selling a life insurance policy, the insured can discreetly liquidate an asset and receive more than the cash value in the policy. The investors ultimately receive a sizeable return on their investment. Life settlements contribute to retirement funds or legacy wealth. Investors should not approach this investment as an income or a liquid short-term investment. There is a known payout on purchased policies, which eliminates the uncertainty that many investments possess. Going back to the example with Larry, his policy was purchased for $3,000,000 and the death benefit was $5,000,000, creating a $2,000,000 profit for investors. You can expect an investment range from $50,000 to $5,000,000 depending on the structure. To ensure success with life settlements, it is essential to work with established companies that have a track record of helping clients as well as a high level of transparency. You might still be skeptical at this point, especially if you’ve heard any of the following myths about life settlements. Find out the truth about each. Life settlements are unfair to seniors – While those who sell their life insurance policy don’t receive the entire value of it, they receive something. Whether someone has forgotten about their policy, can no longer afford it, or can no longer use their policy, they decide to sell for a reason. Life settlements are extremely regulated – While most states closely regulate the selling and buying of whole life insurance policies, it’s to the benefit of the seller and buyer. These regulations protect both buyer and seller and potentially making a decision they don’t fully understand yet. Only large financial institutions can buy life settlements – Many accredited investors are the primary purchasers of life insurance policies, there are opportunities for individual investors to get involved through direct purchases, direct fractional life settlements, and equity funds. For both the insured and the investor, it’s crucial to fully understand the action you’re taking before making a decision about life settlements. Speaking of making an informed decision, there are a few things you might not know about life settlement investments. While each of these are beneficial for the investor, it’s important to know what you’re investing in before you make a decision. Next, we’ll explore both pros and cons of life settlements. Initially, there have been some challenges in the industry. For example, many did not know that policy owners could even sell their policy. It was also necessary for providers to become licensed in order to work with investors and perform due diligence. While we believe that investing in life settlements is largely beneficial, let’s first look at a few potential shortcomings. Longevity is one uncertain area of life settlements. Since it’s difficult to predict someone’s life expectancy, the expected return may start diminishing over time. Underwriting is another risky area when it comes to life settlements. It’s important to conduct thorough research before making a decision about the company you use as your underwriter. Access is another issue potential investors may face. In most states, you must have the appropriate credentials. Next, let’s explore some of the pros of investing in life settlements. Life settlements are highly regulated. This insures that the transaction, investor, and insured are protected. There is more data available than ever before, which allows investors to work with life expectancy underwriters to determine an accurate estimate. This is an important consideration because the longer insured lives, the smaller the return. There are higher returns than ever before in the industry, and while no one can guarantee the rate of returns, they are typically better than other markets. If it’s not already clear why investors love life settlements, let’s explore a few reasons they are an ideal investment. They are unaffected by the ups and downs of the stock market, which makes them an ideal way to diversify your portfolio. Politics, military actions, global economics, and natural disasters do not affect them. Life settlements do not require active management or ongoing management fees because they are a one-time investment. Once an asset has been purchased, the only risk variable is time. You don’t pay taxes until the policy is due. 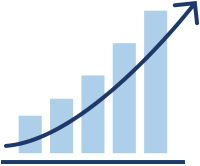 Life settlements return consistent rates, from the high single-digits to the low double-digits. It’s for these reasons (and more) that many investors have invested in life settlement funds. When you think about life settlements, who do you think the key players are? Many are surprised to find that the biggest purchaser of life settlements is insurance companies. Not only do insurance companies buy their own policies, they will also purchase other insurance company’s policies. Of course, there are other institutional investors, including investment banks, hedge funds, pension funds, along with recognizable names like Bill Gates and Warren Buffett. 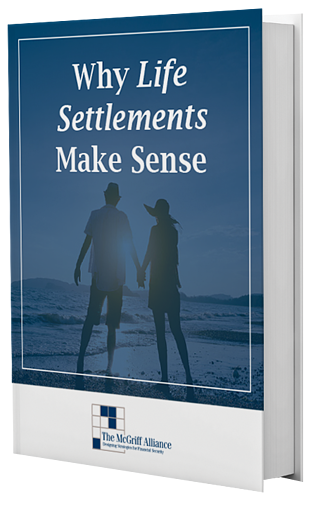 Many investors are initially cautious when they hear about life settlements because they’re not sure if they are a safe investment. Backed by top rated insurance companies, legal reserve life insurance companies always pay out their death claims. You might be thinking, that sounds great but how do I reduce risk exposure with life settlements? Work with a company that has a proven track record, which means, they use experienced providers, servicing companies, and confirm that all money is held in escrow by licensed and bonded custodians. Now that you have a full understanding of life settlements, what is the next step for you? Contact us today to discuss your options for life settlement investment and take an important step with your financial strategy.